I’ve been having regular BodyTalk sessions with Vyara for approximately eight months and have made huge progress in improving my health as a result. When I first started with Vyara, my general health was poor. My many health issues included: constant fatigue, psoriasis, high levels of inflammation that was starting to cause joint issues, a number of food intolerances and high blood sugar levels. One of the things I love about BodyTalk is that it is holistic and treats the whole person, not just a symptom. What Vyara picks up on in her sessions is amazing. She has helped me to let go of so many negative emotions, emotions that I had been holding onto for years to the detriment of my emotional and physical health. Vyara is very understanding, caring and non-judgemental when dealing with sensitive issues. Vyara also has excellent communication skills and gives great explanations of what she is doing and why. With Vyara’s help my health, both physically and emotionally, is better than it has been for years. My energy levels and psoriasis have definitely improved. I have also been helped to make much needed changes to my diet, in particular reducing my sugar intake. My blood sugar levels are now normal. Thank you Vyara, I’m so glad I decided to try BodyTalk. After two years of surgery, inflections and ill health I was very fatigued and depressed. A good friend suggested I make an appointment with Vyara and after two BodyTalk sessions I could already see the difference. The effect my appointments with Vyara have made on me and my life has been incredible! From just being able to drag myself through the day pre-Xmas, I now look forward to planning long walks and cycling trips with my family, I am really enjoying work and have become much more engaged with friends and family, and can actually look forward to the year ahead. To me this has been a complete turnaround that couldn't have happened without Vyara's expert help. 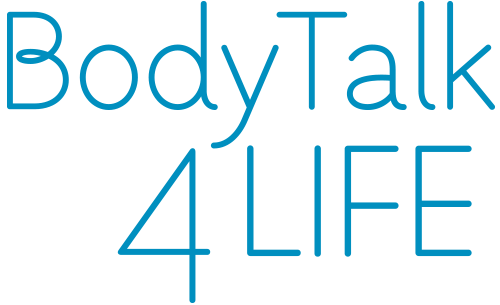 The BodyTalk system is a gentle and non-invasive form of integrative medicine based on quantum healing principles. There are no needles or manipulation used. During in-person sessions clients remain clothed lying comfortably on a massage table, or sitting in a chair. During distant sessions, clients can go about their day, sleep or connect on Skype while the session is being done. 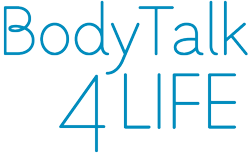 In most BodyTalk sessions (except in BodyTalk Access), the practitioner will use a form of muscle testing, either on the client (for in-person sessions) or on herself (for distant sessions), while following a specific protocol (something like a map of your bodymind) to determine which of the many communication links within your body need to be balanced. To perform the necessary balances the practitioner gently taps across both hemispheres of the brain, on the heart energy complex, and over the abdomen. The tapping procedure is based on quantum healing principles and is designed to bring the highlighted areas to the attention of your body and to stimulate it to begin the self-healing process. During distant sessions, tapping is done either by the client (if there is a real-time Skype connection) or it is sent out into the quantum field by the practitioner and it “finds” the client by way of specific focusing. Our advanced BodyTalk practitioner Vyara Bridgeman is trained in MindScape – a set of techniques that allows the brain waves to slow down and go into an Alpha state. In this state the intuition is extremely heightened and all information that exists becomes readily accessible. This is a state where quantum entanglement (i.e. the interconnectedness between everything that exists) becomes more tangible, so it is easy for the practitioner to work on the client from a distance tapping out all the balances required as if the client was right there in-person. If it turns out that you would benefit from consulting another healthcare modality, such as visiting a GP or an acupuncturist for example, this will be identified as your practitioner works through the BodyTalk Protocol chart and you will be advised accordingly. At the end of the session, the practitioner uses the muscle testing to determine if a follow-up session is required, and when the optimum date for the follow-up would be. The choice of whether to book another appointment is entirely yours. Depending on your condition, your next session may be the next day, the following week, or in a month's time. A BodyTalk session is just the beginning. BodyTalk stimulates your bodymind to begin the process of self-healing. This process will continue for some time after your BodyTalk session as your mind and body work through the changes necessary to return you to a state of optimal physical, emotional and mental health and wellness. How exactly does distant BodyTalk healing work?